The simplistic design of this cocktail table is perfect for a more modern living room space. The metal base pairs wonderfully with the round top, which features a sealed concrete insert framed in wire-brushed white oak with a rustic finish. 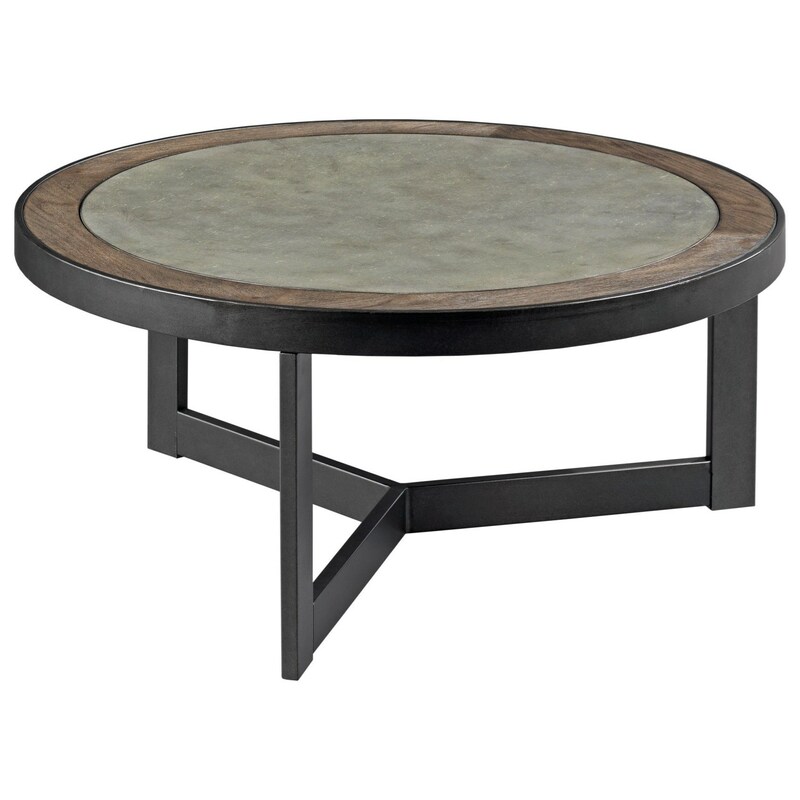 The Graystone Contemporary Round Cocktail Table by England at Darvin Furniture in the Orland Park, Chicago, IL area. Product availability may vary. Contact us for the most current availability on this product. The Graystone collection is a great option if you are looking for Contemporary furniture in the Orland Park, Chicago, IL area. Browse other items in the Graystone collection from Darvin Furniture in the Orland Park, Chicago, IL area.